Hit by a vehicle, the two-month old baby donkey was thrown clear of the Eastern Express Highway, near Vikhroli, one of the suburbs of Mumbai. His rescuers picked him up quite a distance away from the highway. When he was brought in to Thane SPCA, his most immediate problem was severe loss of blood. 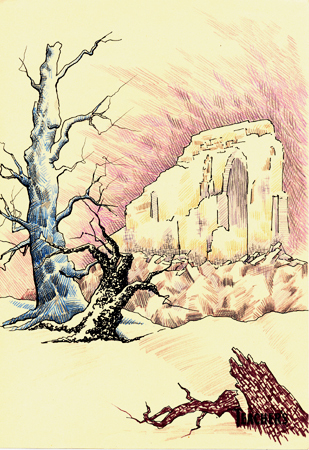 It took a while to stabilize him, and by that time gangrene had set in, further threatening his life. 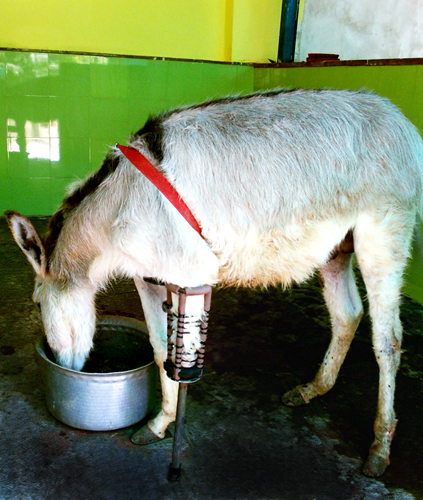 To save the little donkey’s life, he needed an operation to remove his leg. But this was a big problem. A dog will do fine with three legs, but a big heavy animal like a donkey (and a little donkey will of course grow into a big donkey) doesn’t do so well with three legs. They asked a number vets to perform the operation, but all felt hesitant; they had no experience with amputating the leg of a donkey, and they felt doubtful about the outcome. Then, Thane SPCA’s regular surgeon, Dr. Vikaram Dave, agreed to do the surgery. He studied the case extensively, and he began calling the donkey “Dear” – a name which stuck with the charming little fellow because of his lovely nature. Dr. Dave performed a three-hour operation on Dear. 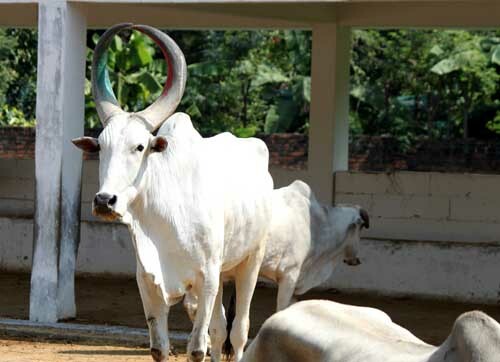 Because Thane SPCA doesn’t have a chain and pulley system with which to suspend large animals (the cost is prohibitive), they rigged a sling to the roof of the cattle shed, to keep Dear suspended until his wounds had started to heal. Soon he was back on the ground and active again. His leg was dressed every day by the vets, and twice a week by Dr. Dave. Being an active little donkey, he wouldn’t stay still and managed to move around more than was good for him, so the wound tended to open up. Dr. Dave designed custom socks for him to keep this from happening. Dear was given a supervised walk every day to keep his metabolism in good shape. He didn’t seem to notice that he had a missing leg and was super-friendly with all the other shelter residents. Thane SPCA’s friend, Dipankar, an IIT engineer, put his engineering skills to work to design a special artificial leg for Dear, and it was fitted on him. After initial awkwardness for the first couple of days, Dear grew used to it and does fine with it. He has it on the whole day, and it’s taken off at about 8 pm when he gets ready to sleep. This artificial leg is just the prototype. Dipankar is still perfecting the design, and at least five changes will be incorporated in the final design. Dear is very acclimated to wearing his new leg, and should be really comfortable with the final version. There have already been a number of inquiries from people who own farms about adopting Dear, to give him a lifelong, happy home. This success with Dear may set a precedent for developing prosthetic legs for other donkeys and horses who need them, when their circumstances will allow them to live out their lives in an adoptive home. Quite a lot can be done to help working animals. Rosalind Rengarajan’s insights into human nature have changed many of these magnificent animals’ lives for the better and her service to them could well be a template that everyone can use to educate the public about animal welfare. When senior citizens Rose and her husband Rengarajan started Sheba Vet Clinic in 2000 at Chennai, with the help of a donor who chose to stay anonymous, their goal was simple: provide free and high-quality medical care to animals whose owners could not afford private veterinary care. As the years went by, hundreds of people who lived on the edge of poverty brought their animals to Rose’s clinic where veterinarians administered life-saving drugs, pain-killers and dispensed advice on how to care for the animal. It was not uncommon to see a long queue of animals outside their St. Thomas Mount establishment. Rose’s vets are always at hand, sourcing medicines, diagnosing illnesses and saving those that are fortunate enough to be brought in on time. As word spread, the number of Rose’s beneficiaries increased, and with this development came another welcome opportunity: a chance to talk to owners about treating their animals right. The medicine people as they were popularly known, found that providing veterinary treatment for a wound for instance, increases the owner’s empathy for the animal’s pain and makes them reconsider physical abuse. 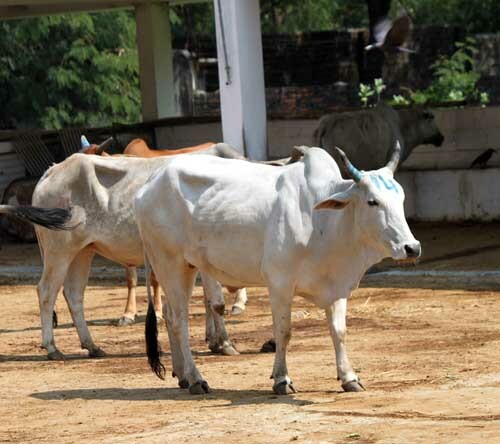 She has gently advised bullock cart owners to refrain from whipping or overloading their beasts, and to return to her clinic for free treatment whenever the animal needed it. She is optimistic that there has been a change in attitude amongst her human visitors and it is this accomplishment that motivates her to continue operating the clinic despite the mammoth challenges that were thrown her way. When donor funds ran out in 2009, Sheba Vet Clinic appealed for funds and the media covered their good work as well. However, the clinic had to shut shop when donations failed to cover operating costs. Rose’s husband Rengarajan had a stroke very soon after this, and passed away a few days later while in intensive care. Rose was now at the crossroads. Despite her grief and lack of resources, she reopened Sheba Vet Clinic on a smaller scale and reached out to the animals that needed her desperately. Tamil Nadu has no government veterinary hospital that can provide medical care for animals belonging to underprivileged people and Rose felt that the clinic was the only way to make a lasting difference in the voiceless workers’ lives. She continues to feel a sense of deep satisfaction every time a bullock with gentle eyes is relieved of his pain and is led away by an owner who has had a change of heart. She remains a blessing to distraught pet-owners who don’t have the money for a taxi to the vet, let alone medication or surgery. 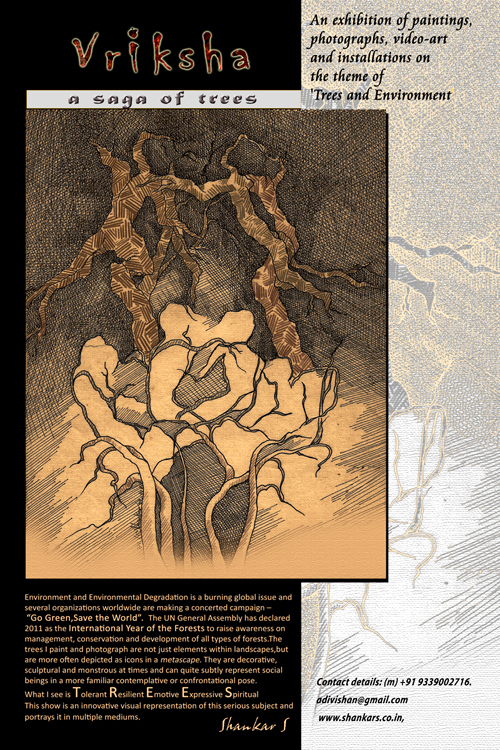 Rosalind has always set aside her own pain and focused on that of others. As for the lucky four-legged ones who find themselves at her door, they have arrived at the one place where they can ask for help and will not be turned away. 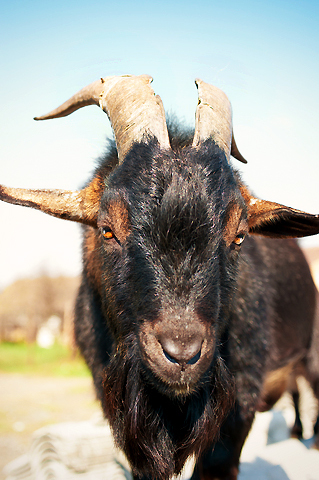 Photo: Peter Horvath / Dreamstime.com / A goat. 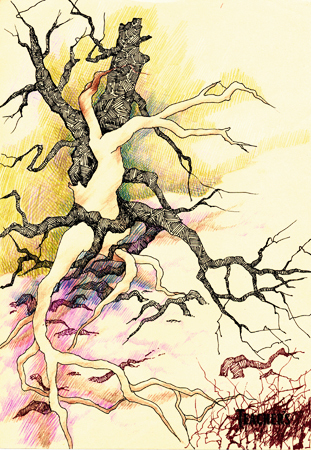 The concept of "Vriksha - the Saga of trees"
“Vriksha” means “tree.” S. Shankar’s remarkable paintings invite us to see trees and all of the environment as living, sentient beings to be valued and protected. 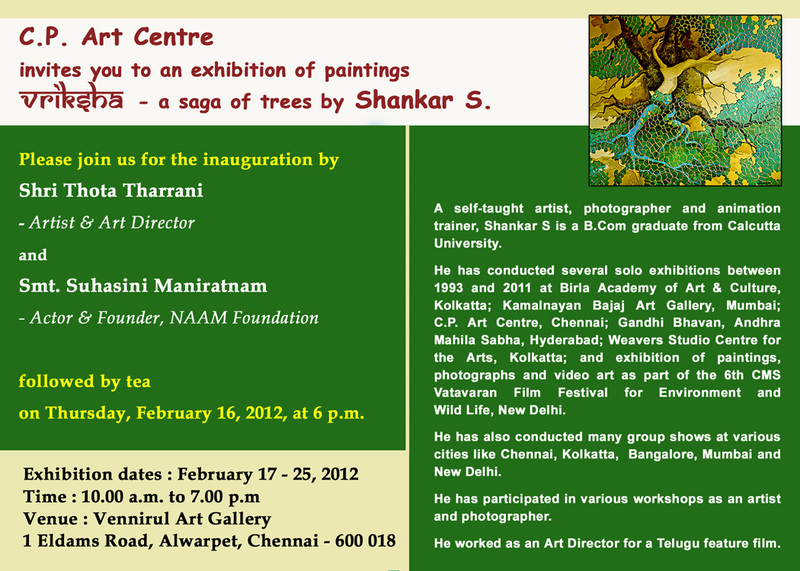 To view more of S. Shankar’s work, click here. To view the website of the C.P. Ramaswami Aiyar Foundation, home of the C.P. Art Centre, click here.